Halifax is the capital of Nova Scotia and its harbor the busiest of Canada’s seaports. Though a small city by North American standards, Halifax is the largest city in Canada’s Atlantic provinces. 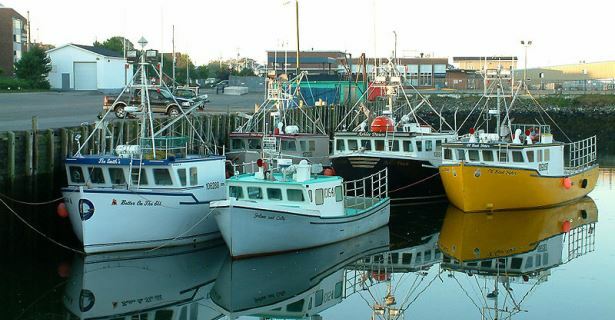 A Halifax motorhome rental in Nova Scotia is a fantastic way to see both the city, as well as the province of Nova Scotia whose corners you can get to in four hours or less in either direction. Moreover, because Halifax is a rather sprawling city, and because many attractions are located outside the city, a Halifax campervan hire or RV rentals allows you to travel the area and see the sights without worrying about car rentals or accommodation as you go. Nova Scotia is well-suited for travel by Halifax motorhome rental because of wide-ranging selection of RV and motorhome units from companies like Britz Motorhome Rentals, Apollo Campervan Hire and Cruise Canada RV Rental and numerous campgrounds scattered throughout the province. There is one less than 15 miles out of downtown where you can park your campervan rental in Halifax after you take in the city’s no-rush way of life. Orienting yourself is fairly straightforward using the Halifax Citadel (Fort George) atop a hill as your primary landmark. If you’re looking for more maritime history, be sure to visit the Maritime Museum of the Atlantic where you will find exhibitions on the Titanic. Nova Scotia served as a major gateway for European migration to Canada, and Pier 21, Canada’s version of New York’s Ellis Island and now renamed as the National Immigration Museum, is the repository of over one million migrants’ history. Take your Halifax campervan hire or RV rentals out on the Cabot Trail to the Eastern Shore of Nova Scotia; where you can enjoy beachside stroll or rent equipment for surfing, sea kayaking, canoeing or windsurfing. 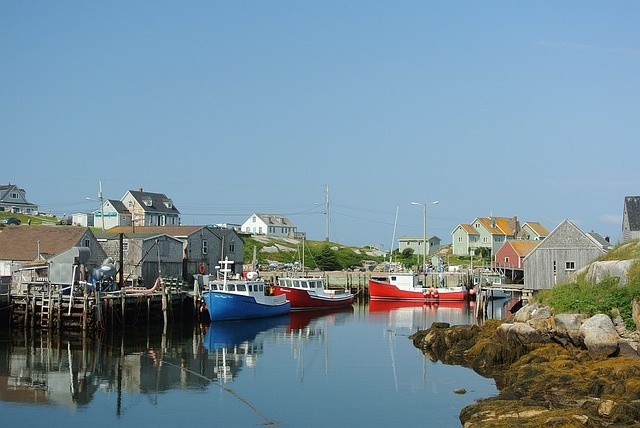 The South Shore, which is directly west and about an hour out of downtown by Halifax motorhome rental; is not only famous for its starkly beautiful Peggy’s Cove; but also for its wealth of history best represented by the brightly coloured and UNESCO-listed townscape; reminiscent of a small German town, Lunenburg. Nova Scotia does not readily come to mind when vineyards are mentioned, but the fertile Annapolis Valley less than three hours northwest by campervan hire or RV rentals is home to white and red wines like L’Acadie Blanc and Marechal Foch, and sparkling wines which could give France’s Champagne a run for its money. 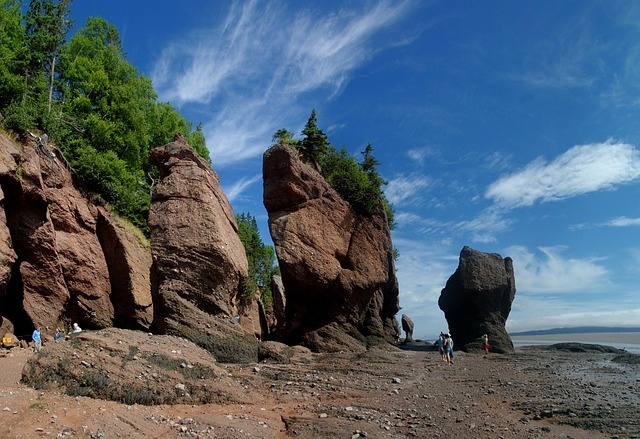 Pair up your drink of choice with mussels and lobsters; which abound in the Bay of Fundy on the northwestern edges; where you can witness not only the highest tides in the world; reaching up to 16 metres a day twice a day, exposing new layers of fossil beds in the Joggins Fossil Cliffs; but also frequent visitors like finback, minke and humpback whales. The Northumberland, not two hours to the north by camper hire in Halifax; brims not only with pristine sandy beaches and warm, clear blue waters yielding fresh lobsters; but also with Scottish heritage and golf courses. Cape Breton and the Cabot Trail to the northeast, however, has a more palpable Celtic feel and scenery. Its rugged highlands, reminiscent of the home country, are populated with eagles and its nutrient-rich waters with dolphins and whales. Prince Edward Island and the promise of spectacular beaches, sunsets, sea food and sports (golf); these are just 75 minutes away by ferry.